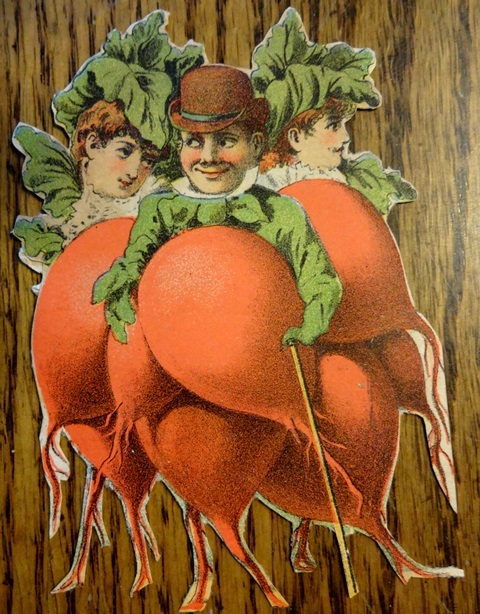 I’ve been saving these Victorian trade (advertising) cards all year, since they make me think of Halloween. 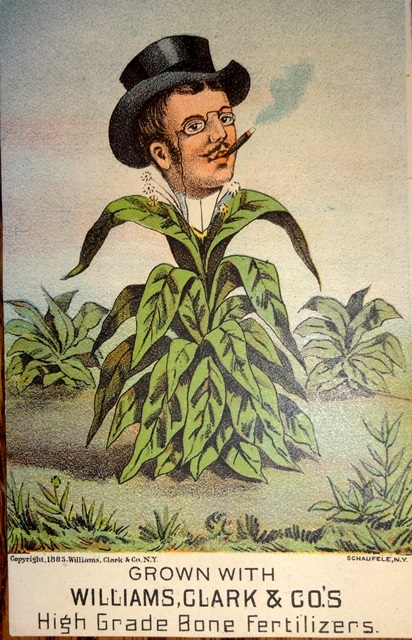 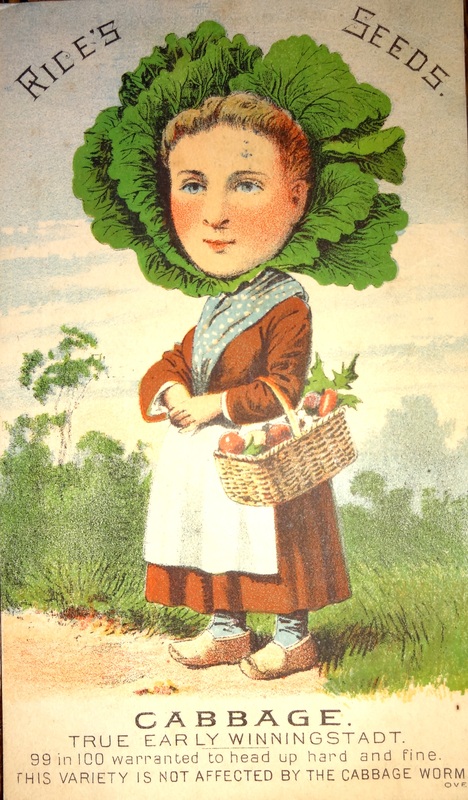 The Victorians seem to have been fascinated by the idea of people-vegetable hybrids. 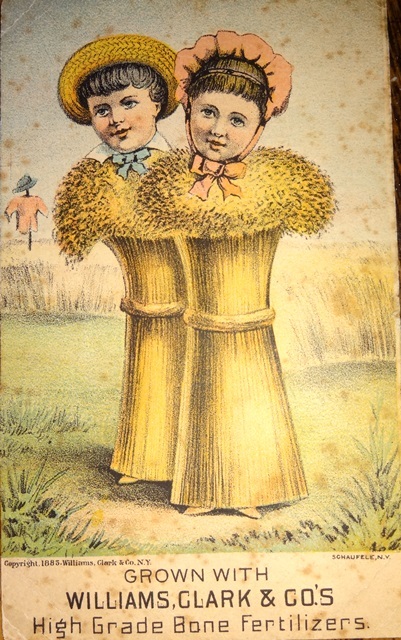 I feel lucky to have the small collection that I do, because sometimes these cards go for pretty high prices. 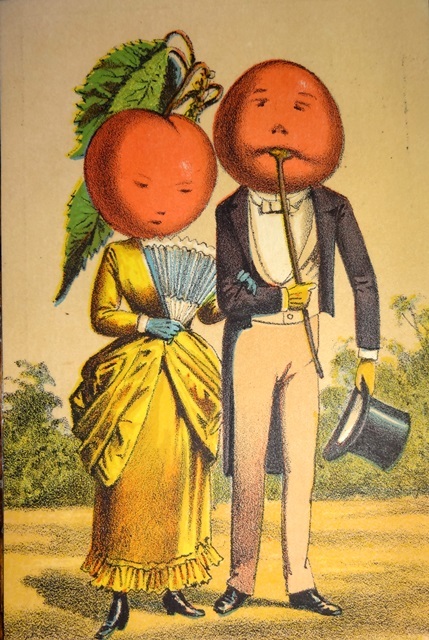 And then, some of the cards are just too grotesque for my taste, so I skip those. 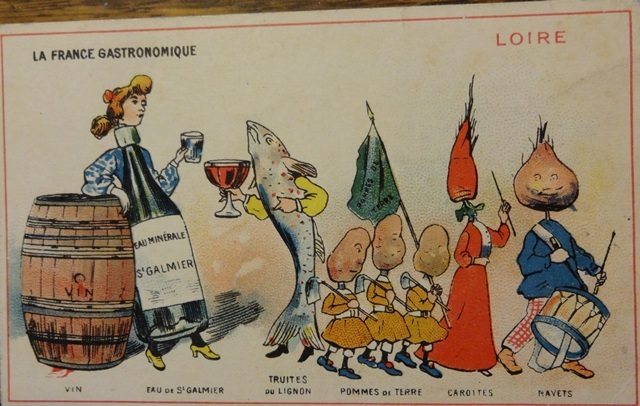 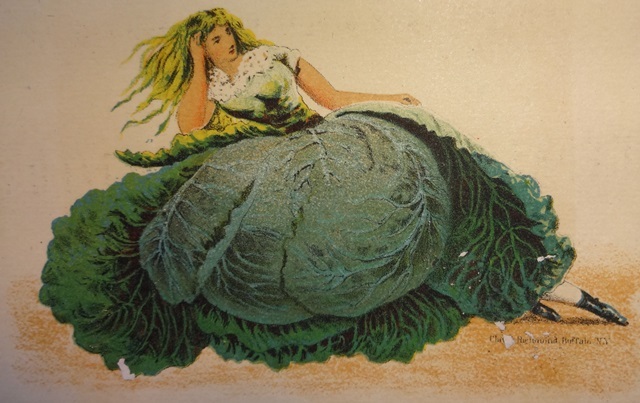 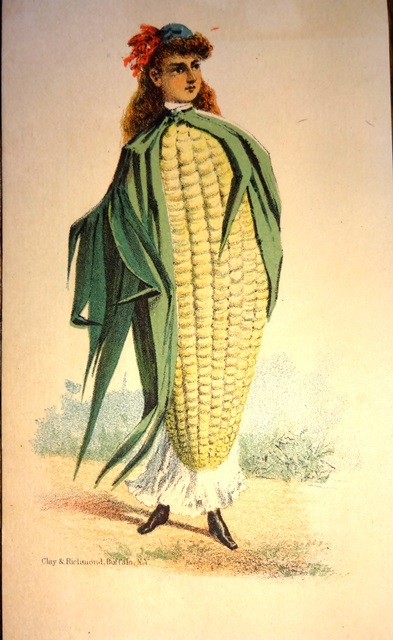 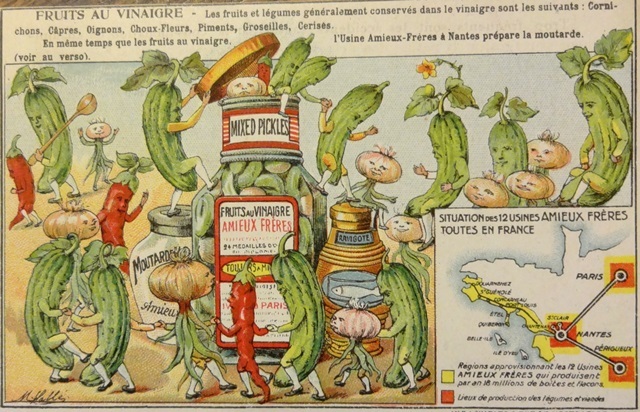 And of course sometimes the Victorians just portrayed vegetables or other foods as people, with arms and legs, which can also be amusing to the eye! 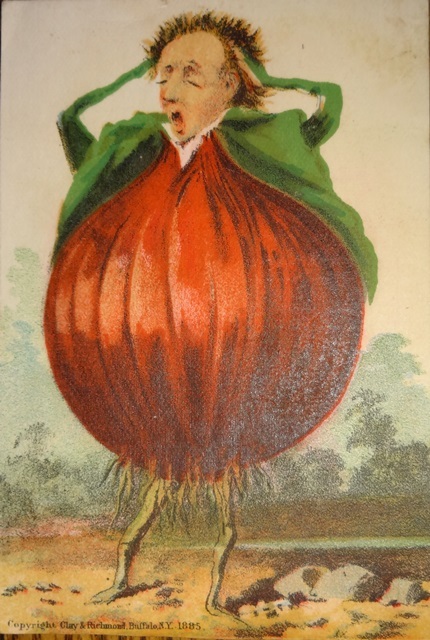 Here are the rest of my Veggie People cards for your enjoyment this Halloween!